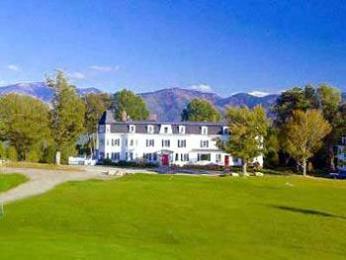 Recently Sunset Hill House, a very special inn in Sugar Hill, New Hampshire announced a contest. The innkeepers would select ten of the entrants to spend five nights at their inn sometime during 2012. The winners would have free range in the inn, including spying in the kitchen and attending staff meetings. They could spend their days and nights doing what they liked best – hiking, skiing, antiquing, cuddling, reading, enjoying the good life in the White Mountains, the Green Mountains, and along the Connecticut River. All the contestants had to do was write a letter to the innkeepers, Nancy and Lon, and tell them why they were qualified to do this reporting, and Nancy and Lon and their staff would pick the winners. Sunset Hill House! What warm and powerful memories I have of my one night stay there. It was two years ago this spring. I was still in the gloriously high days of g etting to know someone new. I planned a trip to New Hampshire to retrieve my Miata. 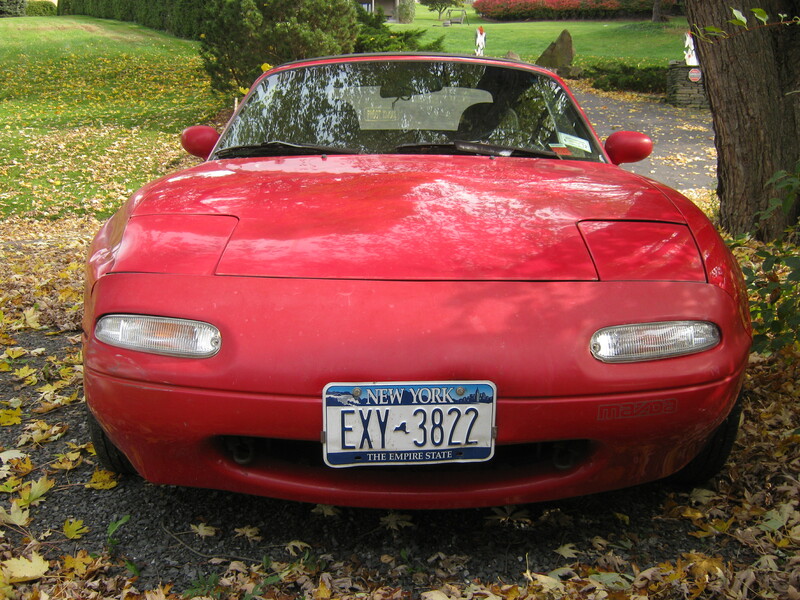 I had left my Miata at a neighbor’s house in January until the weather warmed so I could drive it with the top down to my new home in New York. We rented a car and drove up to the Lake Winnipesaukee area and stayed at The Maria Atwood Inn in Franklin. I knew the innkeepers, Fred and Sandi, from when my husband and I owned a b&b in Moultonborough. A bunch of b&b’s belonged to the Lakes Region Bed & Breakfast Association and we would meet monthly during the off season for networking and morale boosting. Even tho we always met at one of the b&b’s I guess I had never been to Fred and Sandi’s. It was great – it was Lee’s first b&b, and he couldn’t have had a more positive first experience. The home had been rebuilt after a fire, and it had been very authentically recreated (and of course modernized). Post and beam construction, vaulted wood ceilings, stained glass, wide pine floors, and fireplaces. Breakfast table conversation I remember as being exceptionally interesting. Sandi cooked up moose sausage – Fred had shot the moose – I believe it was legal. You’ve got to see their website. It’s a hoot! The second day we picked up the car, dropped off the rental, and visited my favorite Center Sandwich hotspots – the Creamery and the Corner House Inn, and then drove down to Concord. We stayed at The Centennial Hotel. I used to have lunch there in the Granite Restaurant & Bar with my mom. She lived down the street, at Birches at Concord, an assisted living dedicated to those with memory loss. The hotel and restaurant were over the top for Concord, and may still be. Their website calls it a “welcome alternative to both traditional franchised hotels and local inns . . urban contemporary flair . . . in a beautiful Queen Anne landmark.” Sophisticated, yet not too much so that Lee, who wears only painters pants (with shirts, socks and shoes of course) and I were not uncomfortable. The waitresses recognized us when we came in – my mom always had a shrimp cocktail and a rich dessert. Lee and I had dinner and then went to see “Lunch” at Red River Theatres, Concord’s independent film venue. It was a beautiful day. We drove up to the eastern entrance to the White Mountains, stopped off at the Mt. Washington Hotel to look out the window, enjoyed a few waterfalls, and then drove to Sugar Hill, where Sunset Hill House is located. I had heard that Sugar Hill was pretty, and I think I had actually been there when my husband and I were scouting out b&b’s for purchase, but nothing prepared me for the incredible views from this inn. You could see way into the White Mountains to the east, the Green Mountains to the west. We were able to book a room on a “last minute” deal – I believe it was $80 a night with breakfast, and a gourmet 3-course dinner for $20 a person. We were the ONLY people at the inn that night. We were the ONLY people at dinner that night. The staff did not shirk from their duties. It was perfection. We were invited to pick our room from the 30 available. I cannot remember what the meal was, but I will always remember the meal. After just one more glass of wine and a goodnight from the staff, we were left alone in the inn for the night. The cat slept in our room. We woke up to see another little red Miata parked next to ours. It belonged to Nancy who greeted us at breakfast. There was a table filled with young workers who were going to do some work in the gardens. Breakfast was tops! We left for home keeping close to the Connecticut River. We crossed the river several times, stopped here and there, but mostly enjoyed the wind in our hair, the sun dabbling through the new leaves on the trees. We agreed we would be back. Unfortunately like many of the promises we all make to ourselves, we still haven’t followed through, but when I saw this contest opportunity I wrote my letter and sent it off with hopes. Having just started my blog, having run a b&b for 7 years, and having had such a memorable visit to the inn once before, I felt I had great credentials for the job. There was one little pinch in my enthusiasm. At the end of the invitation to enter the contest was a request that applicants “like” or “fan” the inn on Facebook. I had already dropped my Facebook membership. I used to be a Facebook-er or whatever the nomenclature is that I used to be. But I was very put out when Facebook chose 5 or 6 photos of me and pasted them across my home page. I changed those to something more representative of my style and me and proceeded along. Facebook gave me the chance to get a glimpse into my son’s lives, to find out what was going on with my friends socially and what they were thinking politically. I caught up with one old high schoolmate who wasn’t actually one of my friends back then, and we regret that loss. Then however Facebook started digging up my past and posting quotes from years before. This was too much. If I wanted to repeat those posts I would choose them and do that myself. Websites I visit for shopping or for news started referring me to their pages on Facebook. What at first I thought was just an inexpensive way for start-ups to advertise on the web was actually a new marketing trend practiced by commercial enterprises and non-profit organizations. Facebook was now capable of keeping track of my shopping, travel, browsing activities, as well as my communications with friends. My sons had already dropped out because they didn’t like the new all-encompassing world of Facebook. It was time for me to take action also. Before I closed my account I deleted all the posts and comments that I could and defriended all my friends. I soon learned that I wasted my time. That information is with Facebook in perpetuity. 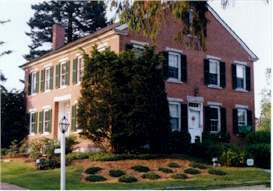 Soon after I had sent my contest entry to Sunset Hill House I received a broadcast email from the innkeepers. They were overwhelmed with entries. They had decided to automatically award the first three “vacations” to those entries that received the most votes on Facebook. Get your friends to vote for your entry, they wrote, and vote yourself. Another way to influence the judging was to interact with the inn on Facebook. I certainly wasn’t going to pick up my membership. I asked Lee, who wasn’t using Facebook anymore but hadn’t closed his account, to “like” Sunset Hill House. He did. I’m sorry to have to drop out of the contest, and I want you to know why. Not everyone is a Facebook fan. While I would be very happy to write on your Facebook page, I am not willing to have my own Facebook presence. I used to be an active Facebook-er but dropped out when it was no longer possible to ignore how invasive and powerful it had become. I certainly understand your eagerness to market through this giant social network, and it will not keep me from visiting you again in the future. I hope you will continue to have the vibrant website you now have off Facebook. Otherwise people like me — who struggle to maintain even an illusion of privacy online — will not be able to know what is happening at your inn. We all pick our own battles. Pity we’ll have to pay for our next visit. This entry was posted in Rants and tagged Centennial Hotel, Center Sandwich, Connecticut River, Contests, Facebook, Maria Atwood Inn, New Hampshire, Sunset Hill House, Travel, White Mountains by spoonbeams. Bookmark the permalink.